Ready for a new look or makeover this Christmas? We got it all covered for you from head to toe. Love yourself a little this season and get pampered. Wishing for a new makeover this Christmas? The professionals at Air Salon can help you fulfill your ideal makeover with the latest hair technology (e.g their signature Ultrasonic Infra-Red Hair Treatment/Perm). Pamper yourself and indulge in their Aveda Tea, complimentary hand/shoulder massage and usage of aromatherapy in their cozy salon! We are sure that you will leave the place feeling fresh and confident! In a rush for time? Or simply dislike the idea of sitting down long hours in the salon getting ready? Celebrity Style Express provides express makeup, hair cut, hair styling and eyebrow shaping in 20 minutes! While festive shopping can consume you, give yourself a little perk before heading to the next location. With their self automated payment system, it helps to minimize the waiting time while transforming your look! “Life is not perfect but your nails can be”. There’s nothing more comforting and satisfying than getting your nails done up. Dressing up your nails can be part of your festive season look this year! Get creative with some Christmas themed nails, like snowflakes, Christmas tree or even a Santa hat. Wishing to wake up beautiful at anytime of the day? J-lashes is the answer to everything. Their stylist and staff goes through every effort to ensure your experience with them is as enjoyable as possible. Each eyelash extension experience is customizable to your own unique style. For working adults, eyelash extension helps to minimize the time taken to do your make up every morning which is a complete life saver for most. Dreamed of looking fabulous like your favorite Korean celebrity? 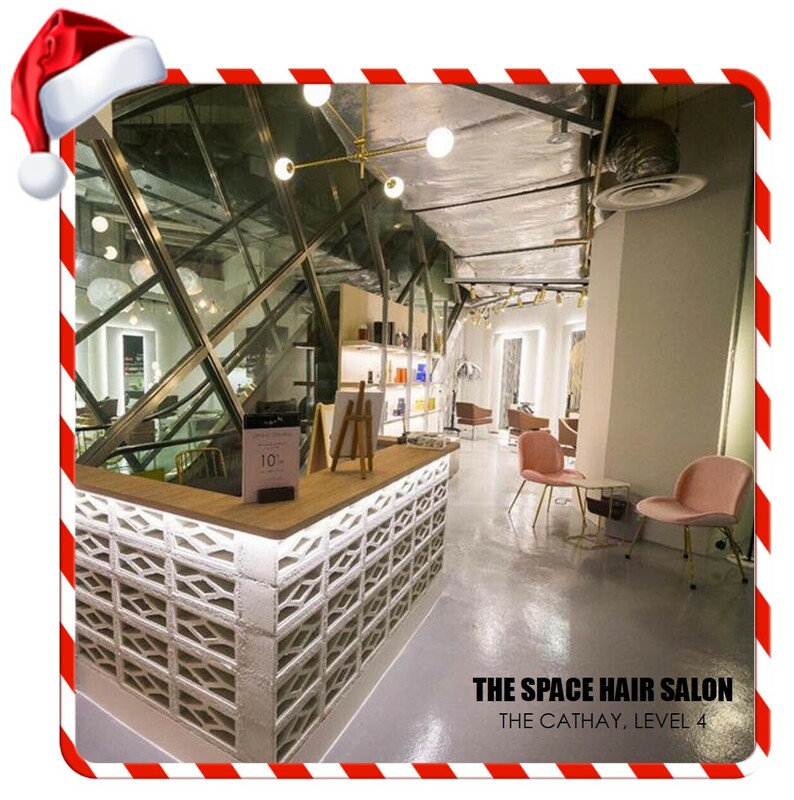 Glam up with the latest Korean styles this Christmas and trust that you will be in a good hands at this newly opened Korean hair salon at The Cathay!